Things are going south as we’ll be joining the LimBrickCity LEGO exhibition in Limerick on the weekend of October 6/7. 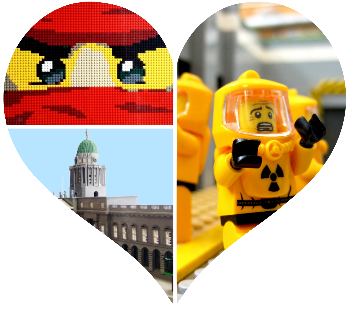 Come along to catch-up with other members and see the amazing MOCs and LEGO sets on show. rare sets and minifigures including Hamleys Exclusive Royal Guard and Lester figures, Mini London Bus, Hans Christian Andersen, the LEGO Store, Wall-E, Doctor Who. The event will take place in St. John’s Pavilion, Limerick.